When it comes to end of the world scenarios, finding the seven signs of the Apocalypse used to be like finding a needle in a haystack; not so much anymore. All you have to do is turn on the television or start searching around on the internet and you can see the last days of mankind coming to an end. So what are the seven signs of the Apocalypse? The first sign has to do with Israel. The Bible states that in the end times Israel will be restored as a nation. This hadn’t happened for 2500 years when it became a nation in 1948. The existence of Israel is a prerequisite for many of the Bible’s prophecies. During the Six Day War in 1967 the Jewish people established Jerusalem as the capitol for Israel fulfilling a prophecy from Biblical times. This prophecy includes the statement that the generation that sees the restoration of Israel as a nation “shall not pass” for all the end time prophecies are fulfilled. A “generation” is believed to be 60 years. So has the end already started? The second sign has to do with the Jewish people who were scattered all over the earth. The Bible tells us they will be scattered until a time that they can come together in their own land. Since the rebirth of modern day Israel, Jews from all over the world have been converging on their own land and it continues today. Sign number three of the seven signs of the Apocalypse has to do with a coalition of 10 nations , which the Bible says will seek to dominate and control the Middle East. Some disagreement exists between Bible scholars as to whether this is a revived Roman Empire or some other grouping of nations which will work to establish a one world government. Predicted by Daniel in the Bible, it will work to control the world’s economy therefore cementing its power base. Almost reads like today’s news headlines. Sign number four is all about the proliferation of war and “rumors of war”, including nuclear armaments with the ability to destroy a city in one hour. The Bible even predicts it, but if you’re not so sure just look at Iran and North Korea. The cold war may be over but things are certainly heating up. Tensions in the Middle East are what the fifth sign is all about. The problem in the Middle East is all about different religions and the countries surrounding Israel want the country destroyed. Ever since Israel came into being once again there has never been a period of peace. In fact the Bible tells us there will be no peace until the return of Christ. That was also predicted in the Bible long before it became a nation again. The sixth sign is all about terrorism, violence, and a falling away from the faith. The Bible says the last days will be like it was in the days of Noah. It was because of the rampant evil all over the world that God sent the flood to wipe out all mankind, except for Noah and his family. Today you don’t have to look too far to see what’s happening in society today. Just look at the number of crimes caused by children today if you’re not convinced. The seventh and final sign in the seven signs of the Apocalypse is all about technology. According to the bible there will be a great increase in knowledge in the last days. This is probably one of the easiest signs to see even if you’re not looking for them. Every day someone is coming out with a new unique phone, computer, car, or weapon; the list goes on and on. The world’s accumulation of knowledge now doubles every two years, something the Bible clearly notes. 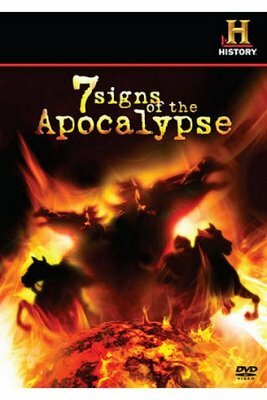 You don’t have to look very far to see the seven signs of the Apocalypse. Some of the signs that we may be in our last days are things like famine, wars, false prophets, and earthquakes. You don’t have to stay glued to your television to see the signs. As long as you’re walking around with one good eye or at least one working ear and you’ll pick up the signs. Keep your eyes open.